Self-Proclaimed Venezuelan "interim president" Juan Guaido faces a potential 30-year jail term for violating a travel ban placed on him by the Maduro government. The ban, imposed earlier by the Venezuelan Supreme Court, was broken last Friday as Guaido secretly crossed the border from Venezuela into Colombia, from where he's since organized attempts for US humanitarian aid shipments to cross bridges into Venzuela, and after meeting with US Vice President Mike Pence and regional leaders in what was essentially a regime change strategy session. "He can leave and come back and will have to see the face of justice because justice had prohibited him from him leaving the country… He has to respect the laws," Maduro told ABC News in a new interview published Tuesday. In a follow-up question concerning whether Maduro would have the opposition leaders arrested, the president said that only a court can make this decision. It’s not clear how Guaido sneaked into Colombia — in one video circulating on social media he appears running across a bridge near the Colombian town of Puerto Santander, while in another he could be seen boarding a helicopter belonging to the Colombian air force. On Monday Guaido met with Pence and regional leaders as part of the Lima Group summit in Bogota, Colombia, where he called on his regional allies and the international community to take "all measures" to "liberate" Venezuela's suffering population. But now he could face serious prison time the moment he returns to Venezuela, especially considering he not only defied the travel ban, but met with foreign enemies of Caracus to openly plot how to undermine Maduro. Deputy judge of the Venezuelan Supreme Tribunal of Justice, Juan Carlos Valdez told Russia's Sputnik on Tuesday the opposition leader "may face up to 30 years in jail" for violating the travel ban. He is a person hiding from justice. What is happening with runaways, who are reentering the country and found by the authorities? They must be caught and sent to a prison […] He may face up to 30 years in jail." The supreme court judge further said "the prosecution was currently analyzing the possible crimes committed by Guaido," according to Sputnik. 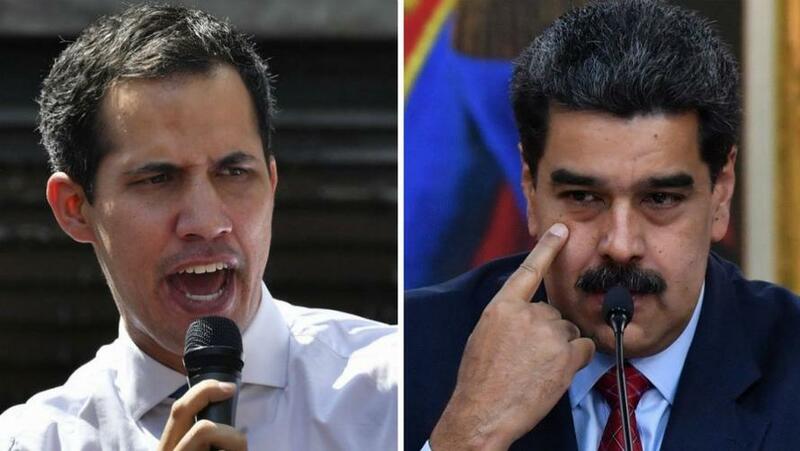 Guaido has recently indicated to regional media that he plans to return to Venezuela understanding full well he's likely to be arrested. Meanwhile the US administration has warned in the past against Caracas authorities prosecuting the opposition leader and National Assembly head, in what would likely trigger some kind of greater military action by Washington. Last month, just days after Nicolás Maduro was sworn in for a second six-year term and shortly before unrest on the streets of the past weeks, secret police had seized and then quickly released Guaido. The January 13 incident involved an aggressive police raid on Guaido's vehicle by masked security forces on a busy highway as he traveled to a political rally with his family. The whole scene had been caught on video, and perhaps is a sign of just what Guaido will likely face the moment he steps foot back on Venezuelan soil.